Volvo is going all-electric by 2019. The automaker announced Wednesday that all future models will use some form of electric propulsion, whether in hybrid form with a gas engine or all-battery models. The company says it hopes to become the first traditional carmaker to produce no vehicles based solely on internal combustion engines. Luxury automakers in general have been announcing major electric-vehicle plans in recent months. BMW will reveal an all-electric version of its 3-Series sedan at the upcoming Frankfurt Motor Show. Mercedes-Benz is planning a new battery-car brand, Mercedes-EQ; and its parent, Daimler AG, on Wednesday announced plans to invest more than $700 million to build battery cars in China. 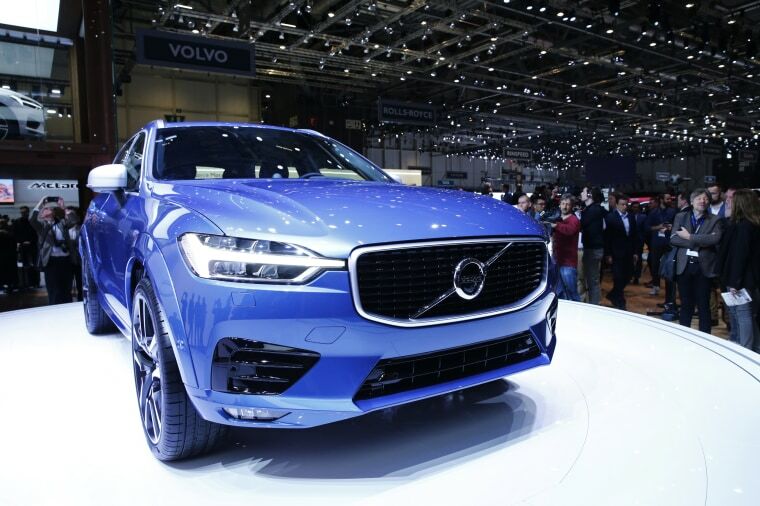 Volvo, based in Sweden but owned by a Chinese holding company, had previously announced plans to sell 1 million electrified vehicles by 2025, “and this is how we are going to do it,” said Volvo Cars CEO Hakan Samuelsson. The transition to an all “electrified” line-up will begin with three new mainstream products set to roll out between 2019 and 2021. The complete transformation will likely stretch into the middle of the coming decade. Volvo isn’t saying what share of future products will be conventional hybrids, plug-ins or pure battery offerings, but the carmaker has already found stronger demand for the T8 Twin Engine than it had originally expected. For the moment, Volvo’s strategy might seem risky, especially in the U.S., where sales of all forms of electrified vehicles slipped last year, in part due to the low cost of gasoline. But industry analysts say several factors are driving the company’s decision. "We expect that the decision is also largely driven by CO-2 regulations," Evercore ISI analyst Arndt Ellinghorst told investors on Wednesday. Tough new emissions and mileage mandates are being put in place in most of the world’s key automotive markets. And even though President Donald Trump has ordered the EPA to reconsider Obama-era standards, which mandate a jump to a 54.5 mile-per-gallon target by 2025, a number of automakers have said they won’t back off on their own efficiency efforts even if the rules are rolled back. Industry analysts also are betting that the declining cost of batteries — along with improved vehicle range — will start to win over consumers. Tesla, for one, expects to boost sales to 500,000 in 2018 with the launch of its new, mainstream-priced Model 3. That would be a roughly 600 percent jump over the company’s 2016 numbers. A wide range of new players will flesh out the electric-vehicle market, particularly in the premium sector, in the coming years. Along with Tesla, California-based and Chinese-funded Faraday Future hopes to vie for luxury buyers, as does Lucid Motors, LeEco and other start-ups. Traditional upscale manufacturers, such as Volvo, aren’t content to cede ground to those new entrants. Virtually every luxury brand has so far committed to adding plug-based models, ranging from Audi to Lamborghini and even Porsche and Aston Martin, two brands best known for their high-performance gasoline sports cars. In addition to its upcoming electric 3-Series, BMW already has the i3 city car and the i8 plug-in hybrid sports car. Daimler is launching its own electrified sub-brand, Mercedes-EQ, which will have at least 10 battery-electric offerings by 2022. For its part, Volvo will be the first broad luxury brand to announce plans to electrify all its products, however. And it will assist the rest of the brands owned by Chinese parent Zhejian Geely to go electric. That includes the Chinese-based Geely brand, as well as the new Lynk & Co. which debuted a production version of its 01 SUV model at the Shanghai Motor Show in April. The 01 will offer a full battery-electric version, as well as a plug-in hybrid, and those could be used by Lynk & Co in its bid to enter the U.S. market by 2019. Going forward, Volvo will produce electrified products in Europe, China and in the new plant it is currently erecting in South Carolina. All told, Volvo itself expects to be selling 1 million electrified vehicles annually by 2025. That would nearly double the 534,332 vehicles the company sold worldwide in 2016 using all of its various engine options.